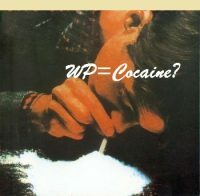 You are here: Home / Weird Facts / WP=COCAINE? Any time the color white is used, immediately there’s a belief it’s a cocaine reference. Is that the case here?